This impressive reclaimed pine dining table is large enough for all the family to sit around comfortably. The pine is smooth and left in a natural state on the top with an attractive rustic cross inlay top. 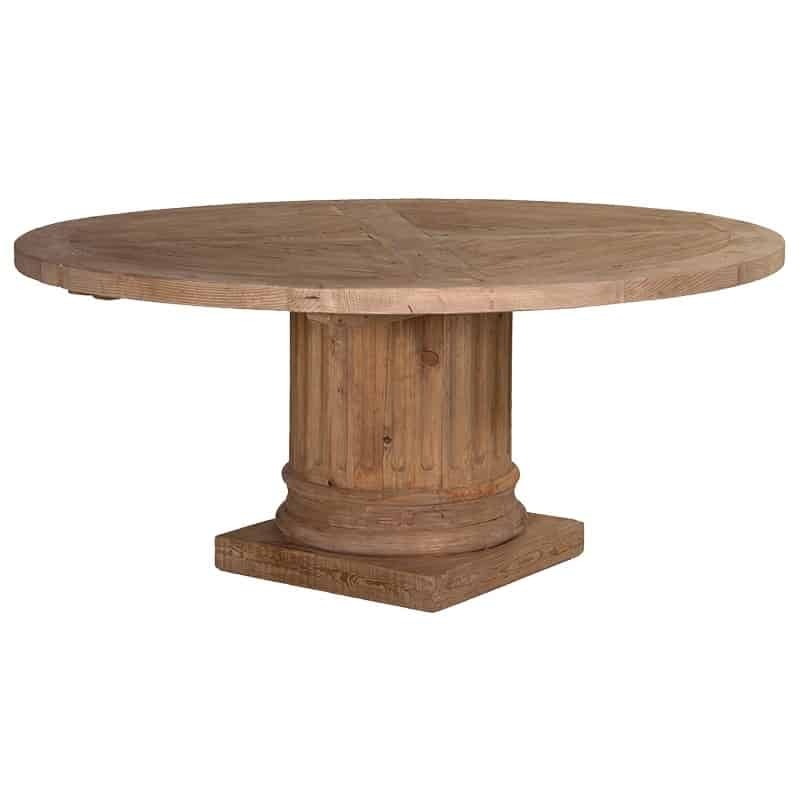 The central column pedestal is the copy of an impressive roman column which is huge and sturdy but makes it easy for all those chair legs to sit around the table. This large colonial reclaimed Butchers block is the perfect working surface space to accompany the colonial dining range. Classic table constructed from solid reclaimed pine with chunky block top and decorative turned legs. Made from natural wood, the table can also be complimented with further pieces from this range.